Beautiful charms for any occasion AND we include a beautiful handmade Believe charm with every purchase! 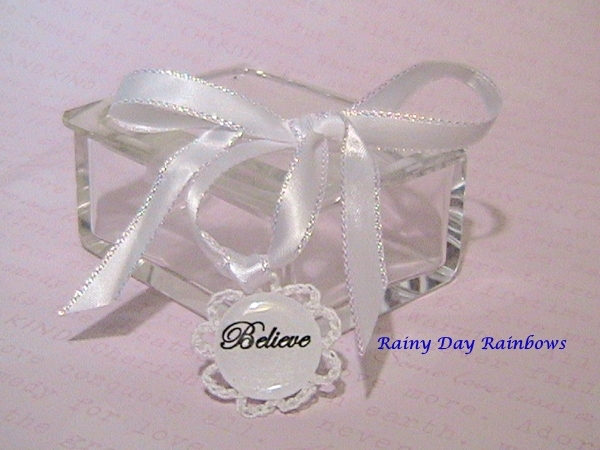 Our complimentary Believe charm comes on a soft white 22-inch ribbon and is tucked inside a pocket size gift box. The complimentary charm has the beautifully written word…Believe.